In this tutorial, I am going to let you know about how to make Category in your WordPress dashboard? A category is just a name given which define the flavor of your writing or post. For example, if you are writing the technical post then the Technical category is a best-suited name for all your technical post. Why do we need to make a category in our WordPress? what is the benefit of all this? This is a simple and decent method to represent all our post. Categorization makes simple for users to search the desired content easily. 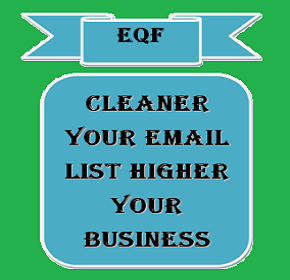 The content remains organized and it is simple to make an alteration in the category like an update and delete operation. It shortens your menu and makes it compact as lots of posts are covered into the different categories. And you can a menu with these categories along with their navigation. What is the procedure to make a category in WordPress? It is a very simple procedure, just follow step by step procedure given below. 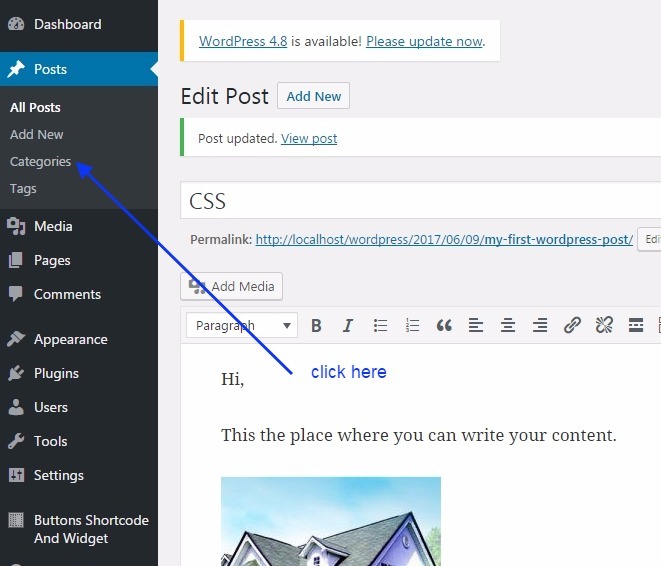 Login to your WordPress dashboard and then create a new post or edit an existing post. Go to Post>>Add new post. Just click on Add new category as shown in the below image. Here you need to enter the name of the category you want to add, the category should be relevant to your post. 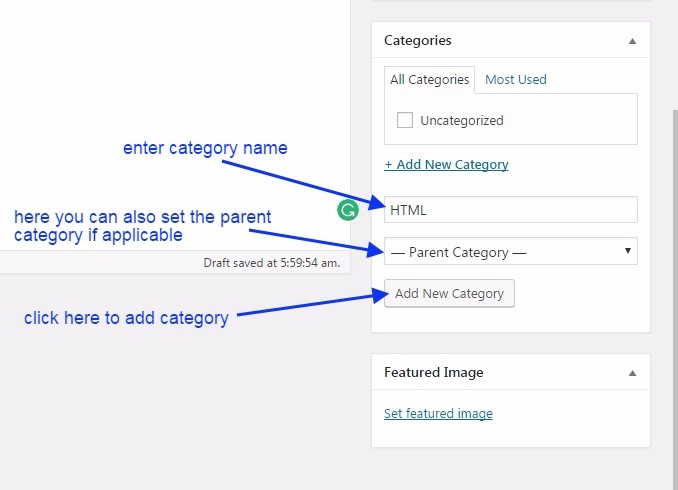 Here we make a category HTML and you can also select the parent category for this category if applicable. 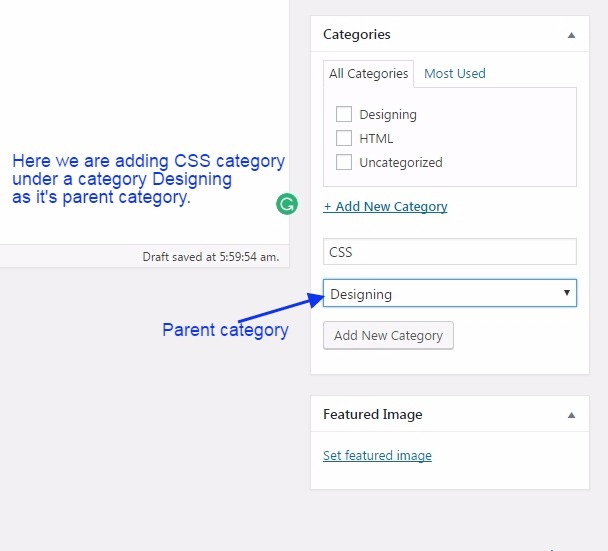 Here we are adding CSS category inside its parent category Designing. See the image below. There is another option to add a new category, update, edit category and also delete your category. Click on categories as shown in the below image. Here you can add a new category. you can edit and delete the category as shown in the below image. Uncategorised is the default category and you can not delete default category, though you can rename it. If you make a new default category with new name then you can delete the previous default category as you have already created a new default category so previous one is no more default and you can easily remove that. How to make a new default category? Here you can change your default category. See the image below. 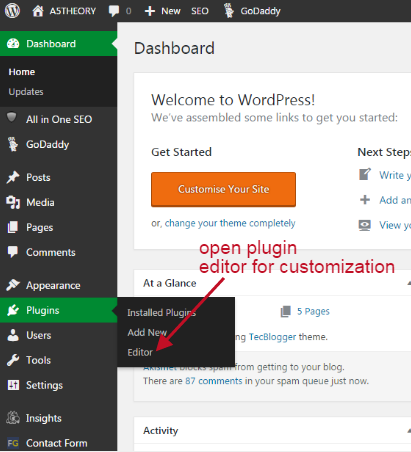 In this blog post, I am going to let you know about the WordPress widget area. 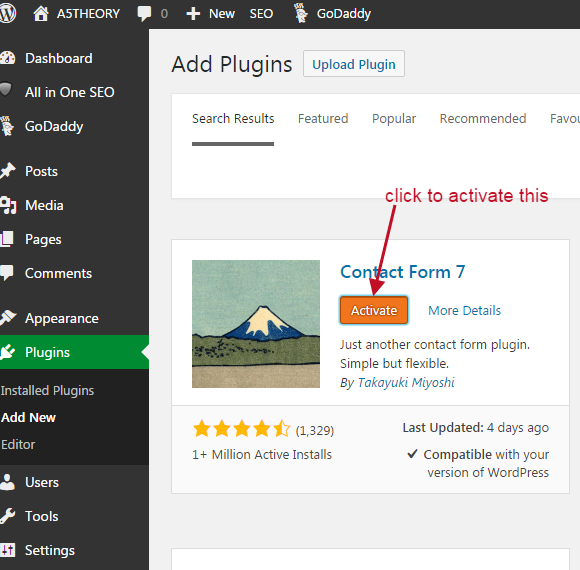 What is WordPress widget area….? WordPress widget area is the space available for keeping some important stuff or items like contact form, search option, news feeds. This space could be a left sidebar, right sidebar, bottom content. What are these items which we keep in this widget area…? These are items are nothing but a plugin which is used for performing a specific functionality. For example, search plugin helps users for finding the content inside the website. When you install WordPress for the first time then you get few plugins by default like calendar, recent post, RSS, Meta, Archive and etc. What is available and inactive widgets…..? 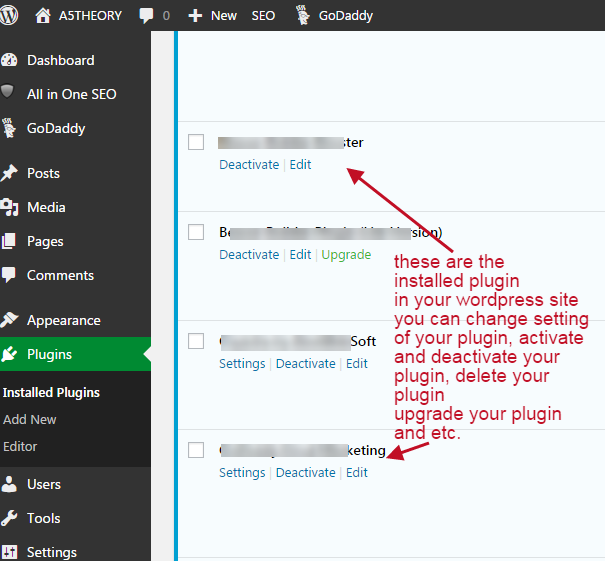 Available widgets are those widgets which are installed into your WordPress, they will always be there until you deactivate or delete the plugin. Inactive widgets are those widgets which are not currently in use but they have all previous setting sustain, and when you will use these plugin for next time then you will not need to make setting again. For example, I have dragged one item from the available widget and keep it in the widget area and make all necessary setting for that. Now after few days I remove this plugin from widget area and keep it in the inactive widgets so that when I reuse it next time then I would not need to make the setting again. How to add the custom widget area…..? First thing is when you install any theme in your WordPress then you get a widget area of that theme which you can find out in Appearance>>widget. 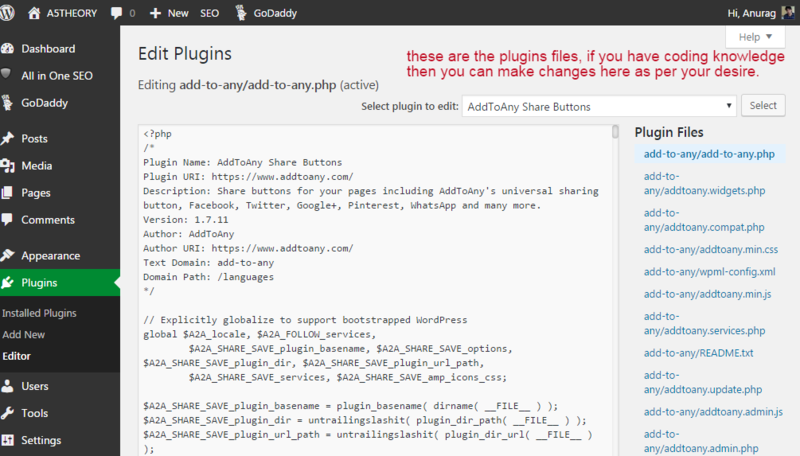 But when you need to add a custom widget area then you can install a plugin for widget area as there are various plugins available for the widget area. For example, you need to add some of your details in the widget area like name, address, phone no. then you can use the TEXT widget for the same. 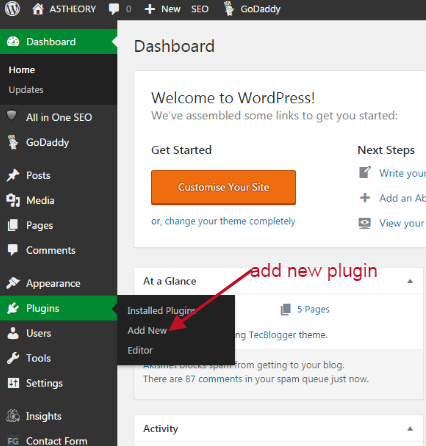 What is the procedure to add WordPress widget area…? This is a very simple process to keep the items into your widget area. You just to follow the step by step procedure given below. 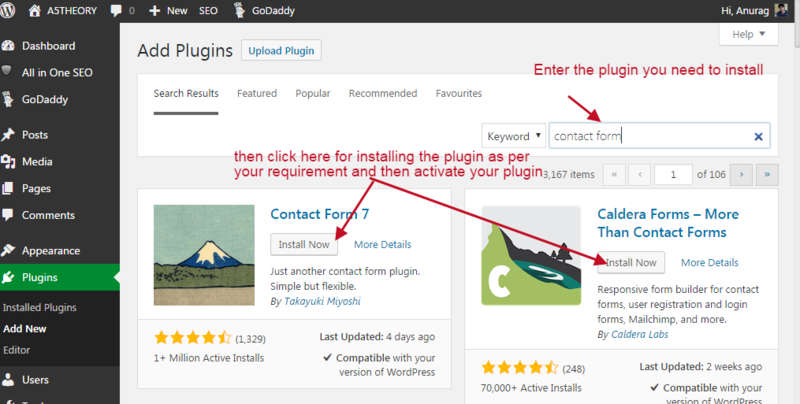 If you have not installed the WordPress yet then please go through the below information for the same. 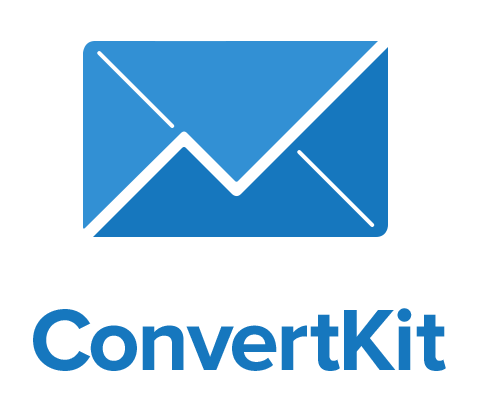 Install the WordPress theme, free or paid as per your requirement. 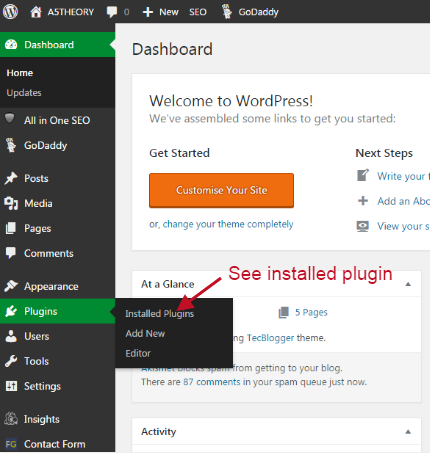 If you have done installed the WordPress theme then please follow the below procedure. Once you are done with the basic setup then you are ready to set up your widget area. Go to Appearance>>widget and then click the widget. See the image below for the same. When you click on the widget, you will see a screen as shown below. Here you will find mainly three things. Available widgets, Inactive widgets, and widget area at the right most corner in the image below. When you need to keep any plugin item into the widget area then you just drag it simply from the available items or widgets and drop it to the widget area. Once you do this your items start appearing in the widget area. Inactive widgets are those widgets which have been removed from widget area but they still sustain the property that they had, and when anyone will again these inactive widgets then they will not need to make any setting again. Like this drag and drop, you can keep the items into the widget area. See the image below.